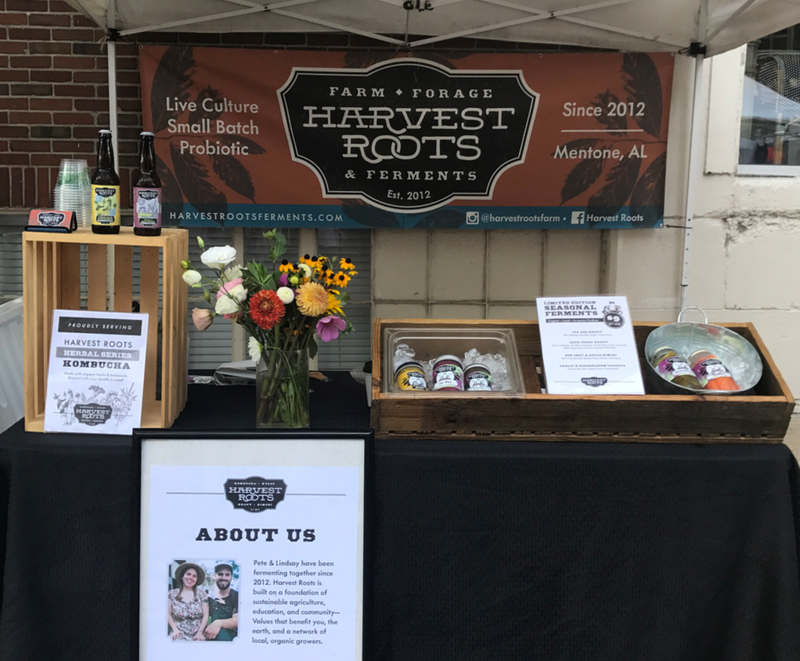 Harvest Roots Ferments is a small, growing company based in the tiny town of Mentone, Alabama. They pride themselves on well-crafted recipes that make the most of the magic of probiotic fermentation. Their products deliver not only delicious flavors, but plentiful health benefits. They got their start in farming and permaculture, selling their goods at farmers' markets before realizing that this was going to be the next big thing. Since their founding in 2012, we have continuously refined the brand from its humble beginnings to its now formidable presence in Whole Foods Markets across the southeast. an evolving process: Who Are We, exactly? This project is unusual because it began rather informally. I was just helping out my brother and his partner in my spare time. We enjoyed a lot of sharing of sketches and raw ideas, and engaged in a lot of conversations over a long period of time. Eventually things congealed. You can see the evolution that took place in both the company's identity and its graphics. Process: From the co-founder's early sketches, to sketches of mine, to early iterations of the logo and brand components. After a year or two of informal semi-branded existence, the owners of Harvest Roots decided it was time to step up their game. We formulated a plan and worked from our existing concepts to elevate their look and feel beyond "grassroots" design. The goal was getting them ready for more retail shelves around the area, where the bottles didn't have the farmers market sales pitch. We tried a lot of approaches, but finally landed on some really solid hand-drawn type. I love this because it ensures that everything is original, not just an out-of-the-box font creation. The imperfections of ink and paper lend to a really genuine, handcrafted look, which of course reflects the brand attributes beautifully. Process: Exploring early ideas, other logo options, and refining the final hand-drawn selection into a final logo. 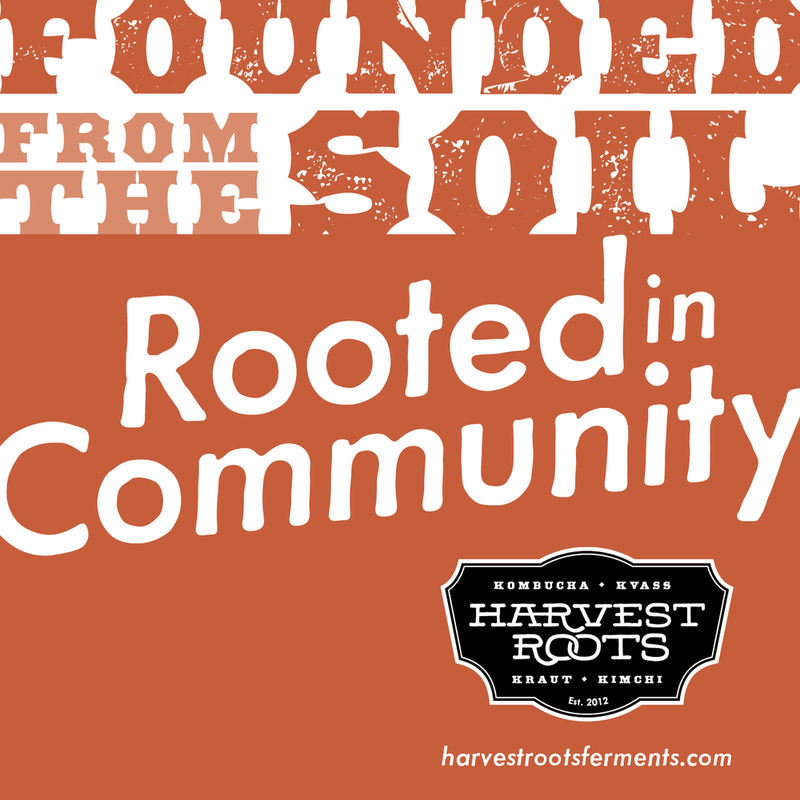 As we started implementing the logo across their packaged goods, Harvest Roots realized that the logo was too bulky for their skinny product labels. At the same time, the company's identity was shifting slightly, so we made a couple tweaks to the logo to better identify their products at all times. 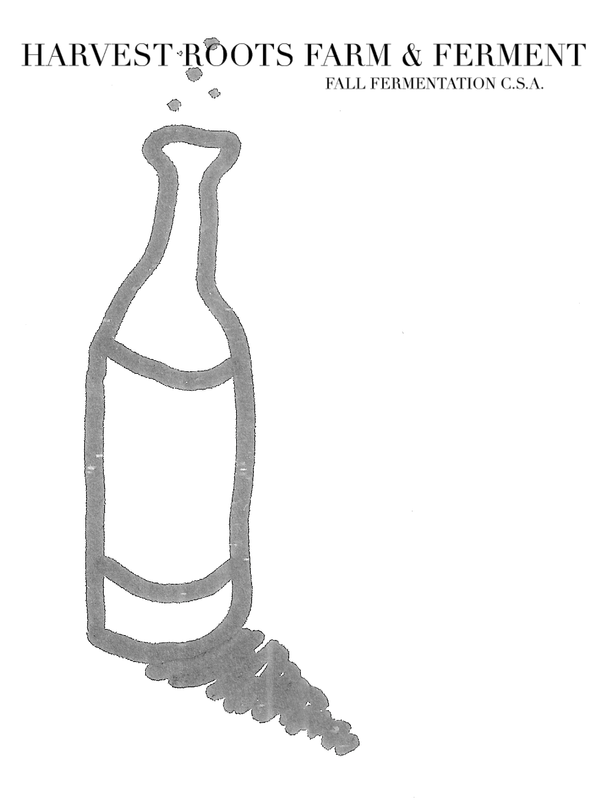 Thus, we landed on a final logo (with the 4 K's) and a skinny logo for bottles and jars. We've come a long way since the first label. We started off with hand-drawn labels, scanned artwork, and a set of Avery templates. There was certainly a fun quirkiness to this approach, but It didn't take long for the brand and the company to outgrow it. 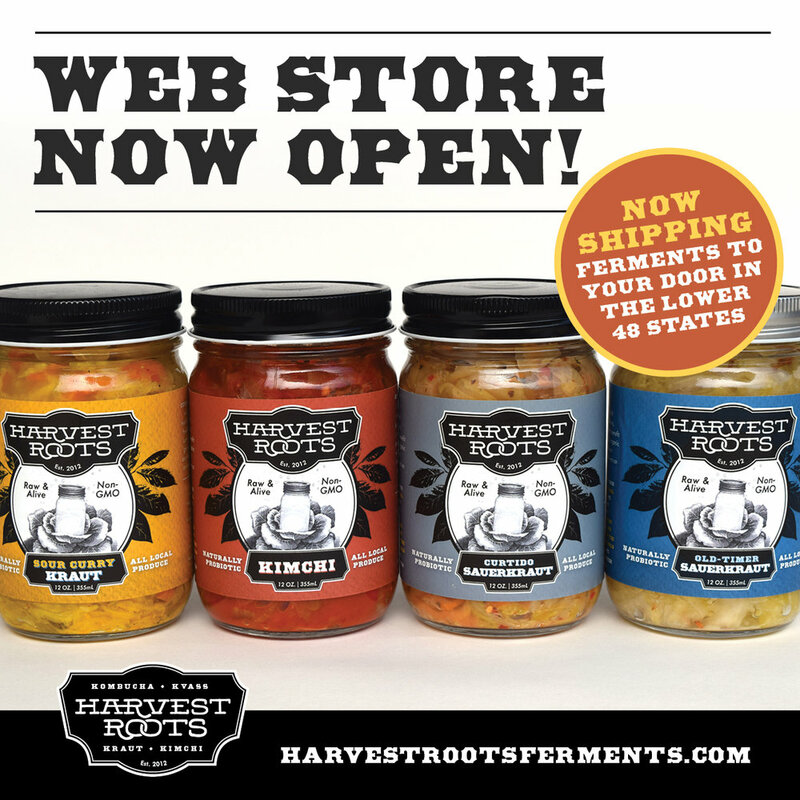 Harvest Roots now has seven established products on the shelf, along with a rotating selection of seasonal ferments that get their own special edition labels. From our first logo and label design to the well-crafted look & feel that you can see on Whole Foods shelves. Harvest Roots is a really savvy company when it comes to maintaining a social media presence, especially on Instagram and Facebook. They know that it's critical to keep the messaging looking fresh, that their customers have a certain expectation around branding these days. So we work together on special announcements that need more than a simple photo and caption.